(Hand Wash, Hang Dry to Maintain Shape & Elasticity) 100% SATISFIED CUSTOMER SERVICE-- For Whatever Question, before-sale, in-sale and after-sale,please contact us first &We will solve your request ,return or refund is available,will make you 100% satisfaction . 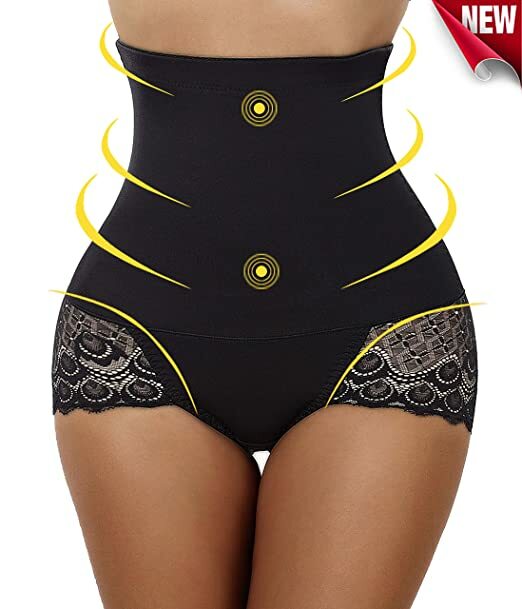 ( S Size fits Waist 20.4-23.2 ) ; ( M Size fits Waist 23.2-25.9 ) ; ( L Size fits Waist 25.9-28.7 ) ; ( XL Size fits Waist 28.7-31.4 ) ; ( 2XL Size fits Waist 31.4-34.2 ) ; ( 3XL Size fits Waist 34.2-37.0 ) ; VERY BREATHABLE FIBER,SOFT AND COMFORTABLE. Because of its strong performance of permeability,it is moisture wicking and never do harm to your skin.Unigue embroidery lace,makes it sexier and nobler. THE FABRIC IS A SOFT AND SILKY LACE PATTERN. Lace thigh slimmer with elastic waistband.Smooths bumps and bulges on tummy, derriere and thighs,you will enjoy your beautiful curve at anytime when you wear this erogenous underwear . Works great with everything from form-fitting tops and dresses to slim cut jeans.